PT Surveyor Indonesia (Persero) – PTSI is a well-established state-owned independent assurance services company in Indonesia. Its business include Surveying, Verification, Inspection, Certification and Consultancy. PTSI has its business activities focused in 2 business process: Business Process related to Operations and Business Process related to Corporate Policy Establishment. PT Surveyor Indonesia (Persero) is a state-owned company and is majority owned by the Government of Indonesia. At present, PT Surveyor Indonesia (Persero) is 85.12% owned by the Government of Indonesia, 10.40% by Societe Generale de Surveillance SA, and 4.48% remaining shares by PT SUCOFINDO (Persero). 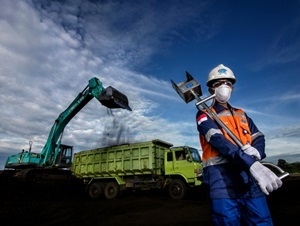 Based in Jakarta, PTSI conducted business operations in all parts of Indonesia under the management of 11 domestic branches, 1 Singapore overseas branch office, 3 UWK offices, 3 representative offices and directly employs 1,581 employees. PT Surveyor Indonesia (Persero) also supported by 2 key subsidiary companies, namely PT Surveyor Carbon Consulting International (99.00%) and PT Synerga Tata International (60.00%). Minimum SMA/K majoring in Chemical Analyst.